← Find it Friday! – Week 17. Earlier this week I heard (probably somewhere on Twitter actually) someone say that as a child they suffered from Marie Curie syndrome, of which I was hugely concerned about, after all, we all know the ill fate of Curie, this syndrome must be serious! However, Marie Curie syndrome is in fact where the sufferer is only able to name one female scientist; Marie Curie. I am saddened to say, that I too was a sufferer as a child, but as an adult some of my favorite scientists are women. I have breifly mentioned the Paleontologist, Mary Anning before, HERE, and for today’s Find it Friday, we are going to venture in to the world of another lady of Science! 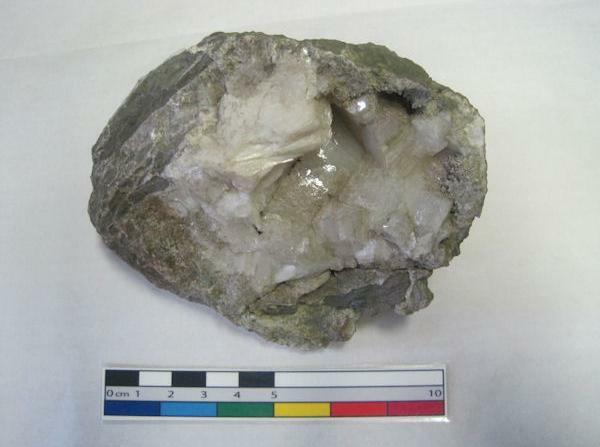 These minerals are a small part of our Geology collection here at the Curatorial Services and they all have one thing in common; they were collected by a Miss. Caroline Birley. 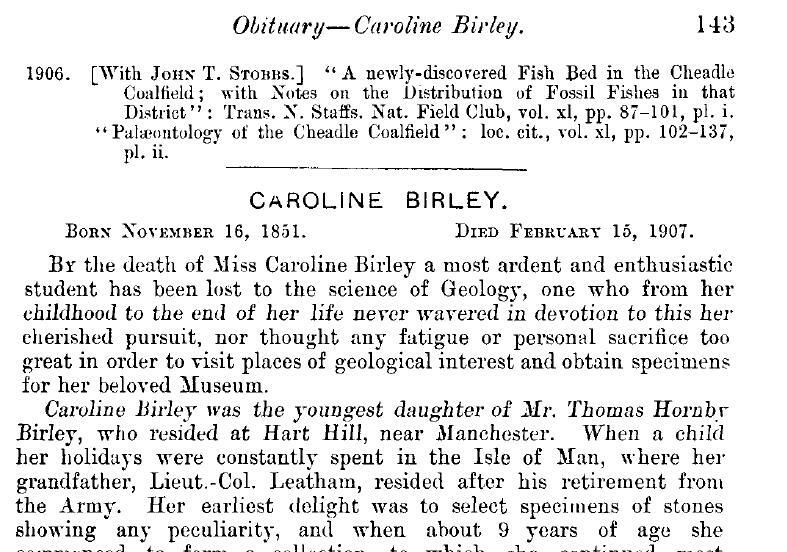 Caroline Birley was a local Geologist. She was born on Oxford Road, Manchester, November 16th 1851. From an early age she showed an interest in the field and started by collecting small rocks and stones that intrigued her. At the age of 12, in 1864, she became a subscriber to the Geological Magazine. Her grandmother paid for this subscription and as a whole her family was a wealthy one as they owned various cotton and rubber factories in the Manchester area. Notably, Caroline Birley was the niece of Hugh Birley, the first Conservative MP for Manchester in 1868 and Herbert Birley, who was chairman of the Manchester school board for many years. This wealthy background might have been what allowed Caroline to follow her passion. Heulandite and Stilbite, from Iceland. This alone shows Birley’s dedication and passion. Most of these places would have taken weeks, even months to travel to as there was no way to fly at this time. Unless, she flew by hot air balloon, of course. On their trips, Birley and Copland made a few discoveries that would secure their legacy in the Geological world forever. Dromiopsis birleyae (left) and Mesodromilities birleyi (right). It is quite remarkable that she was recognised in this way at this time. It has since been suggested that Birley is not a noted Geologist because of her collection, as it bares no great scientific significance but because of the respect she gained from her peers, as this was a male dominated field at the time. 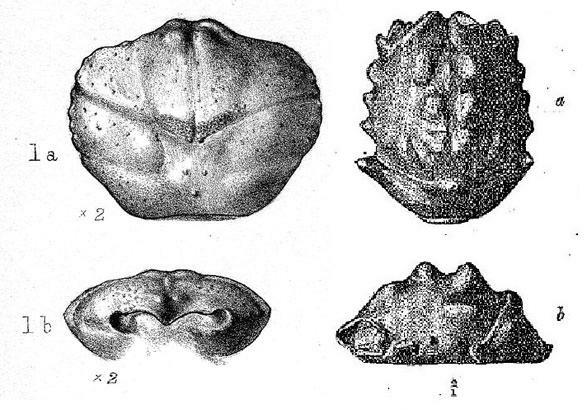 In 1899, Birley had also discovered a new genus and species of crab in Kent. Woodward also described this and named it Mesodromilites birleyae. 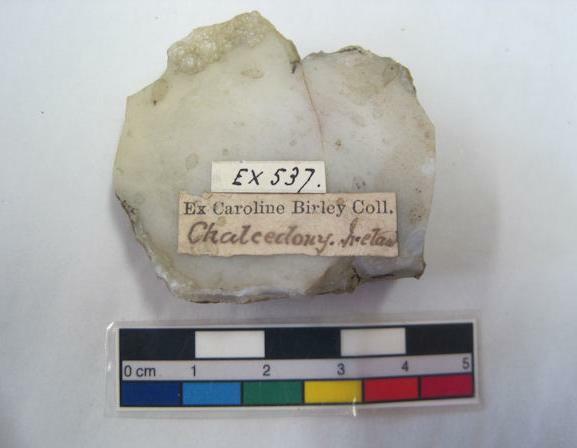 Chalcedony, showing the ‘Ex Caroline Birley Collection’ label. Caroline Birley also requested that her specimens be labeled with ‘Ex Caroline Birley collection’ which makes them very easy to spot in the collection. She was a natural-born curator it would seem and I am sure this has been very useful to many people over the years, and for us it has meant that at a glance we are able to attribute them to her and estimate we have 25 to 30 pieces of her collection here. 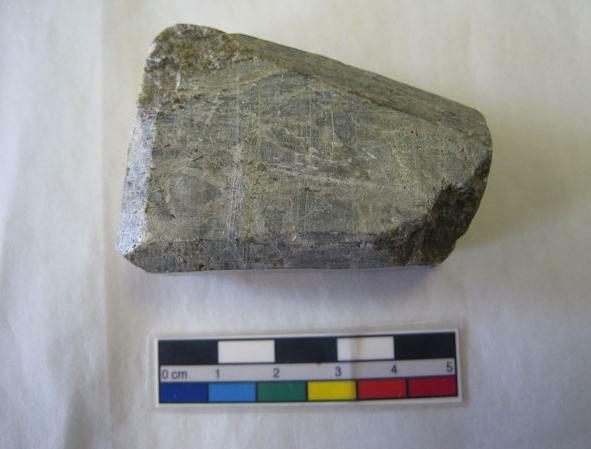 This entry was posted in Find it Friday!, Geology and tagged caroline birley, fossils, Geology, marie curie, Mary Anning, Minerals, women of science. Bookmark the permalink. 2 Responses to Find it Friday! – Week 18.